Donnelly needed a new ERP solution that could handle its unique requirements and that had a large enough install base to ensure committed long-term development and continual improvement. The manufacturer was searching for the power trifecta of fit, function and future. 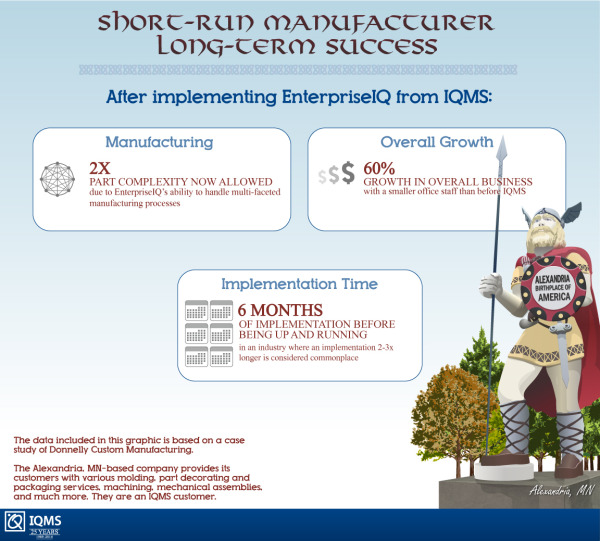 Donnelly selected IQMS' manufacturing ERP and MES solution, EnterpriseIQ, because the system is easy to use, intuitive and required a modest level of training. The company also liked that EnterpriseIQ is contained and extendable within a single database (Meaning no third-party add-ons needed-ever). To view the entire customer success story, please click here.